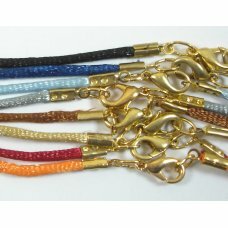 1 Satin Cord Necklace with Goldtone Clasp, measures approx 500mm, 20 inches. 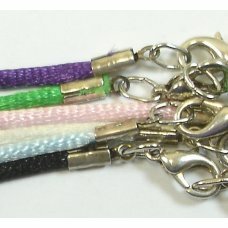 Available in a selectio..
1 Satin Cord Necklace with Silvertone Clasp, measures approx 500mm, 20 inches. 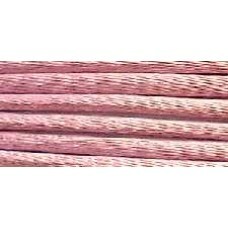 Available in a select..
3mm Brights Rattail 5 metres a variety of lovely colours on one length these might include yellow r..
3mm Black Satin Rattail 5 metre length ..
5 Metres Teal Blue Rattail measures approx. 2mm (ish!) 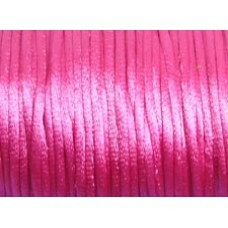 Lovely silkly satiny cord great for wrapping ..
3mm Lavender Satin Rattail 5 metre length such a pretty colour would look fab with one of our large ..
3mm Avocado Satin Rattail 5 metre length beautiful chartreuse green would look fab with purple perh..
3mm Earthtones Rattail 5 metres a variety of lovely colours on one length these might include peach..
3mm White Satin Rattail 5 metre length..
5 Metres Hot Pink Rattail measures approx. 2mm (ish!). 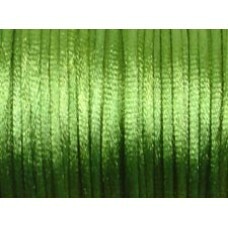 Lovely silkly satiny cord great for wrapping ..
5 Metres Olive Green Rattail measures approx. 2mm (ish!) 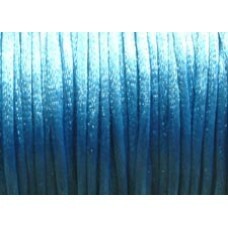 Lovely silkly satiny cord great for wrappin..
5 metres Turquoise Satin Rattail 3mm. ..
3mm Dark Grey Satin Rattail 5 metre length fab sophisticated smoky grey colour. ..